Sweden’s Mattias Ekstrom has won Bompiso World RX of Portugal, round two of the FIA World Rallycross Championship presented by Monster Energy. It is the second victory in a row for Ekstrom and sees the EKS driver extend his lead in the overall driver standings by 14 points over second-placed Johan Kristoffersson. Team Peugeot-Hansen’s Sebastien Loeb finished runner-up this weekend, while PSRX Volkswagen Sweden’s Kristoffersson took the third podium spot. In the teams’ championship, PSRX Volkswagen Sweden continue to lead the standings after both Kristoffersson and Petter Solberg made today’s final. Solberg, however, was slowed by a puncture in the final and finished the event sixth overall. After a strong outing in the Peugeot 208 WRX Supercar Timmy Hansen ended the weekend fourth overall, with EKS driver Reinis Nitiss rounding out the top five. Kristoffersson proved the man to beat after day one after winning the first two qualifying sessions but a misunderstanding between the Swede and the spotters’ tower meant he failed to take the Joker Lap during Q3, resulting in a 30 second penalty. 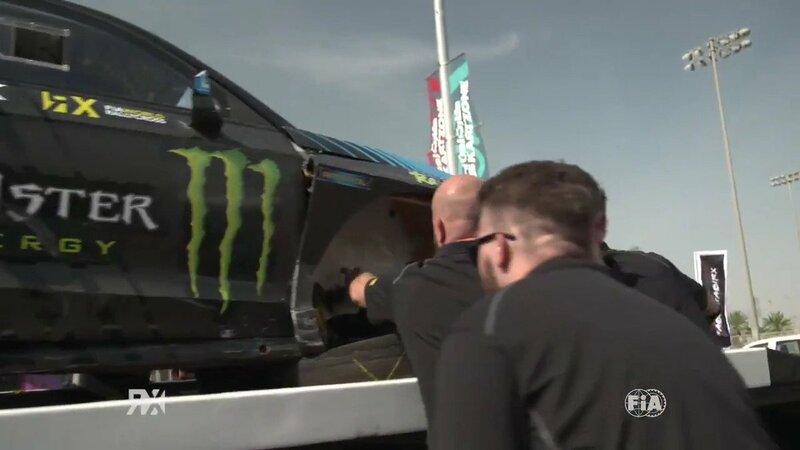 Elsewhere, Hoonigan Racing Division team-mates Ken Block and Andreas Bakkerud both qualified for the semi-finals but Q4 winner Bakkerud damaged his suspension in semi-final two, resulting in retirement. Block finished fifth in semi-final one, one spot behind Kevin Hansen who was fourth in the same race. 2017 newcomers STARD had both its drivers [Timur Timerzyanov and Janis Baumanis] in the semi-finals for the first time. Timerzyanov had a difficult start in the first semi-final and was unable to make up the time he lost while Baumanis broke his car’s wheel in semi-final two. In the Super1600 championship – where Montalegre marked the first of six rounds – it was Denmark’s Ulrik Linnemann who triumphed in his Peugeot 208. Reigning S1600 Champion Krisztian Szabo took the runner-up spot, while Latvia’s Artis Baumanis finished third. Timur Shigaboutdinov would have finished third but was given a five second penalty for pushing and overtaking in the final. He eventually finished fifth, one spot behind Kasparas Navickas. The third round of World RX takes place at the Hockenheimring in Germany next month (5-7 May) as the World Championship joins DTM for a thrilling weekend of motorsport action.